The Mossberg 590 shotgun is the perfect alternative to the Mossberg 500. For one thing, the Mossberg 500 requires you to change the barrel before you can add a magazine extension to it. The Mossberg 590 does not require you to change the barrel in order to add a magazine extension, which is why a lot of people are choosing the Mossberg 590 now. If you are someone who shoots competitively or even in dangerous combat situations, you’ll want to have more ammo. The Mossberg 590 is the weapon you should choose in that case. 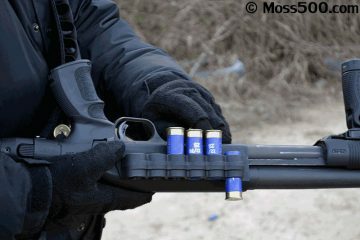 Magazine extensions are important to have on your shotgun because they will increase its ammunition capacity. The new standard for Mossberg 590 shotguns is a 7-shot capacity. But if you were to add a magazine extension to your shotgun, it could add between 1 to 9 extra shots to its capacity, depending on which magazine extension you use. Magazine extensions come in all different sizes and lengths. The longer the extension tube, the more shells it can hold. So, why would you want to increase your ammo capacity anyway? Well, the answer to this question should be simple. Having more ammunition means you don’t have to reload your weapon so often. This will come in extremely handy for law enforcement and military officers who are constantly under fire and have very little time to react. Of course, if you’re a hunter or target shooter, then you might hate having to reload as well. There is nothing worse than seeing a deer run by and not being able to shoot it because you ran out of ammunition and have to spend time reloading. Magazine extensions will save you time and give you more of a chance to hit your target before it moves away. Aside from that, you need to choose the right magazine extension for your Mossberg 590. There are so many extensions available which have saturated the marketplace. However, the two most recommended magazine extensions for the Mossberg 590 is the Nordic Components MXT Magazine Extension for the 12-gauge and the Vang Comp Systems Magazine Extension Tube. While they both share some similarities, they also have some differences that may be appealing to certain types of shooters. Just go through the specifications of each magazine extension and figure out which one is most suitable for your particular shooting needs. The Nordic Components MXT Shotgun Magazine Extension Kit is the perfect magazine extension tube for increasing the ammunition capacity of your Mossberg 590. The tube is made out of anodized 6061 aluminum, which is a superior type of aluminum that gives the tube durability and strength. Both ends of the tube have been machined with thread pitches that match. This will give you the ability to reverse the tube if you need to. 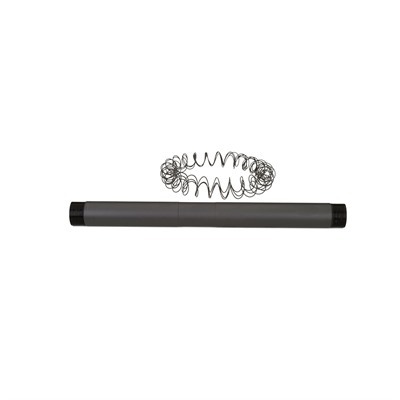 There are different lengths available for the MXT Shotgun Magazine Extension Kit. Obviously, the longer the extension tube is, the more ammunition it can hold. If you want the tube that can only add one additional round of ammunition to your shotgun, then it will cost you $56.95. All other lengths for additional ammo capacity will cost you $75.95. The longest magazine extension tube can hold 9 additional rounds of ammunition, which is definitely a lot for any shotgun. Extensions that can hold between 2 and 9 extra rounds have a relief groove on them which is designed to place there a barrel clamp and to make sure that you have repeatable placement after it’s been disassembled. This relief groove is off-center so you can reverse the tube for location adjustment. When you go searching for the length of an MXT Shotgun Magazine Extension Tube, the capacities posted on the Nordic Components website are measured from shells that are 2.75 inches. Sometimes the retention devices, such as the magazine plug, have to be taken out so that the extension can function properly. But before you do this, check with Mossberg customer support and get their advice on this. However, most people who use 2.75-inch shells don’t have any problems with their extension when they put it on a Mossberg 590. The great thing about using this particular magazine extension with the Mossberg 590 is that it fits perfectly. Since the extension tube is compatible with multiple shotgun brands, sometimes you have to make modifications in order for the tube to fit on them. But you won’t have to make any modifications to the Mossberg 590 for the MXT Shotgun Magazine Extension to work on it. The best part is that it screws right onto the shotgun without the need of having to take the barrel off first. You won’t even have to remove any dimples from the factory magazine of the Mossberg 590 like you would with the Remington 870. 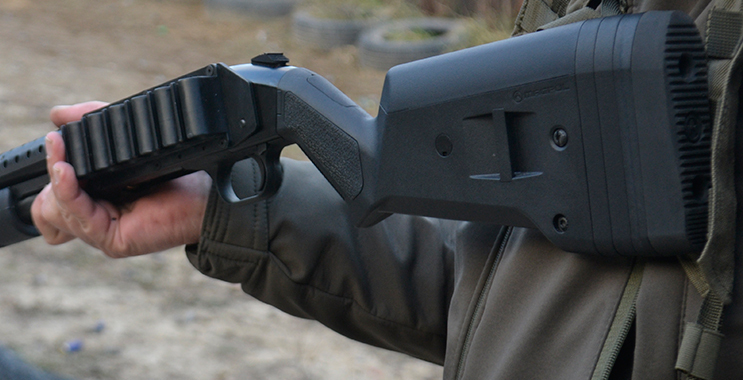 So, adding the magazine extension to your Mossberg 590 should be a piece of cake. Remember, that it consists of three parts: extension tube nut, extension tube (of needed length) and extension tube end cap. The Vang Comp Systems Magazine Extension will give your Mossberg 590 shotgun an extra round of ammunition. You might not think that an extra round is a lot, but it makes a world of difference when you’re in a desperate situation where you need to fire one last shot at your target. The Vang Comp Systems Magazine Extension is easy to install. 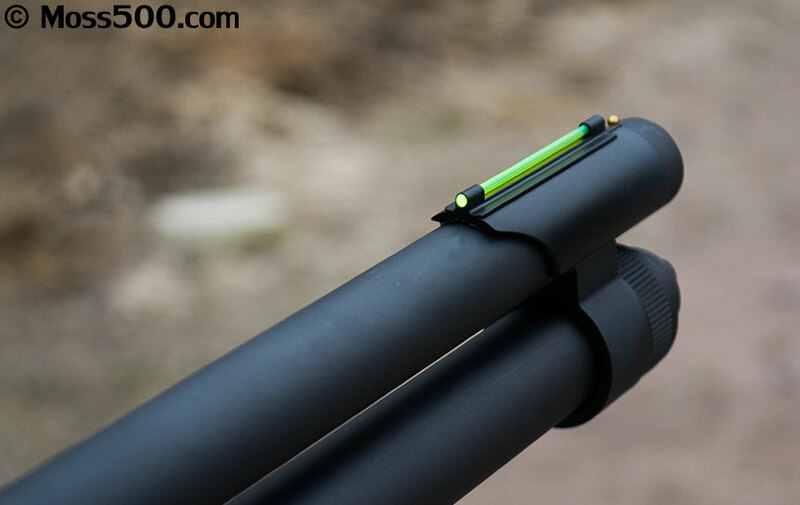 Rather than having to take the barrel off the shotgun like you would with the Mossberg 500, this magazine extension can be screwed into the Mossberg 590 without having to take off the barrel. Not only that, the extension is short because it can only hold one round, making it easy to work with. That way, the overall length of your shotgun will not increase too much and you won’t feel the extra weight of the extension as you’re holding the weapon. You won’t need to make any modifications to the Mossberg 590 in order to install this extension. 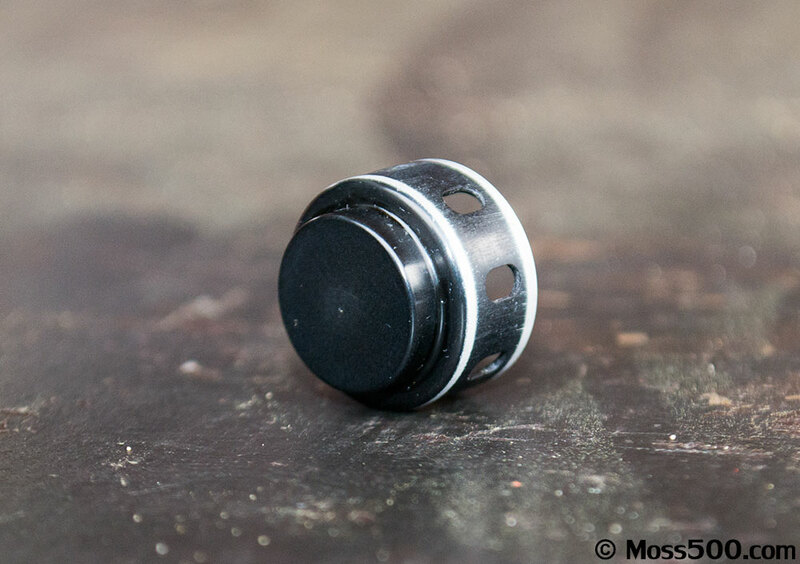 It simply replaces the factory cap that came with the magazine of your shotgun. The extension was machined out of solid steel bar stock which gives it extreme durability under tough environmental conditions. Whether you’re in a combat situation or you simply drop your weapon on the ground accidentally, the Vang Comp Systems Magazine Extension will be resistant to dents and other pressures that are inflicted onto it. What is also included with this extension is a sling loop which can be installed to accommodate right-handed or left-handed shooters. To enhance reliability even more, the extension comes with a stainless-steel follower that ensures a smooth feeding process. 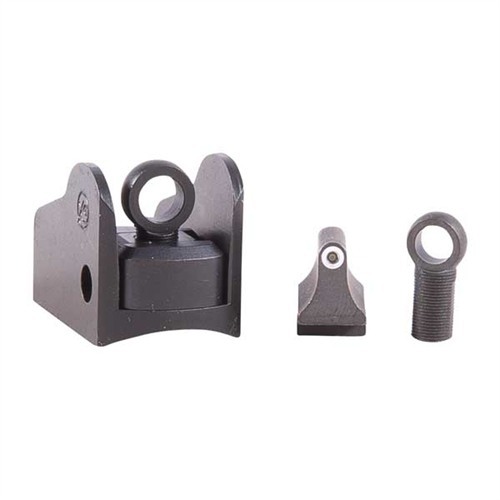 If you were to purchase the Vang Comp Systems magazine extension for the Mossberg 590 directly through the Brownells.com website, it would cost you $74.99. However, there is also another version of this magazine extension that’s going to be released soon. This particular version will be able to hold two rounds instead of one. The cost of the two-round extension tube for the Mossberg 590 is $74.29. 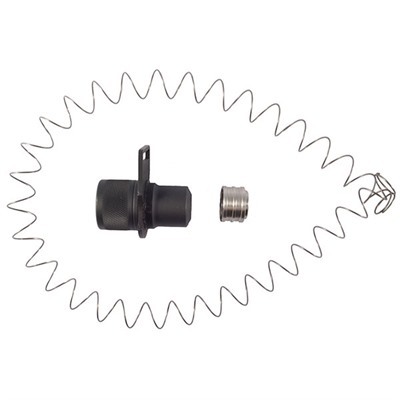 This extension tube is considered to be a special order by the website, so you may have to wait about 5 to 8 weeks for processing before it gets shipped out to you. It may be worth the wait though because an extra round in a short extension tube like this can go a long way. It still won’t add too much weight to your weapon and it could come in handy when you’re desperate to fire an extra few rounds at a lethal target.